Any product that features Ichiro in a Miami Marlins uniform immediately has my attention. 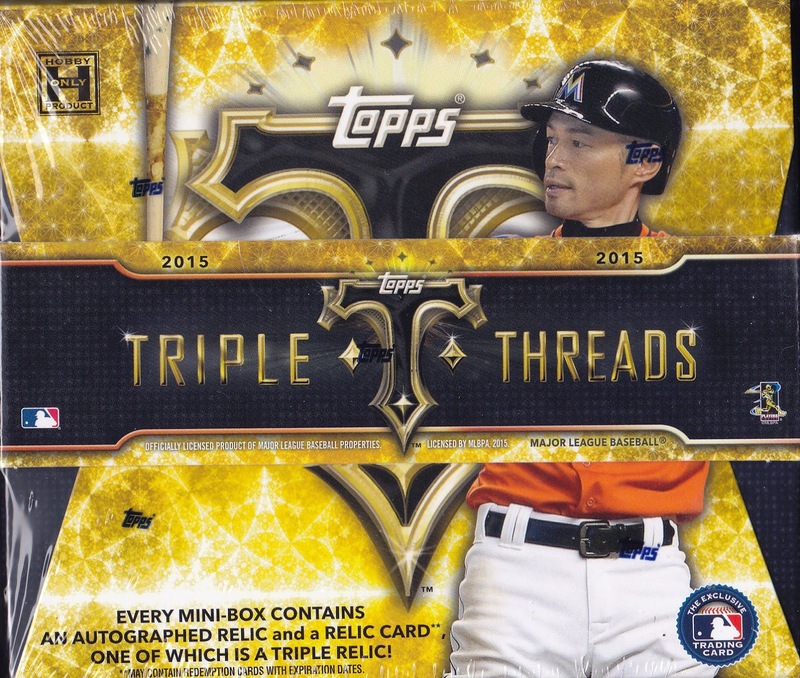 Topps’ 2015 Triple Threads impresses before you even open it up by placing the future Hall of Famer prominently on the cover of their box. Finally able to bring the Suzuki to the Topps family after years of being under contract with Upper Deck, Panini, and Leaf, Topps brought tremendous excitement to their Triple Threads line with exclusive Ichiro autographed memorabilia. Upon opening the first pack, it is quickly apparent that you are holding a premium product in your hand. With their thick and heavy stock, high resolution photography, and a wide range of rookies, veterans, and retired superstars, each card feels like it is special piece of memorabilia worthy of the $150 hobby box retail price. 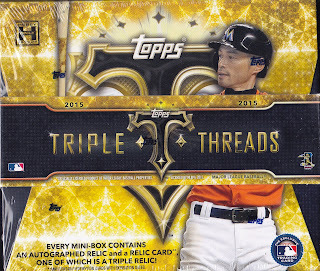 Click here to read the full review of the Topps 2015 Triple Threads, which includes a slideshow of the hits from the box that Topps provided for review.